It’s around 20-22 sq. m. for 1 or 2 persons (a child under 6 years old shares a double bed with the parents). 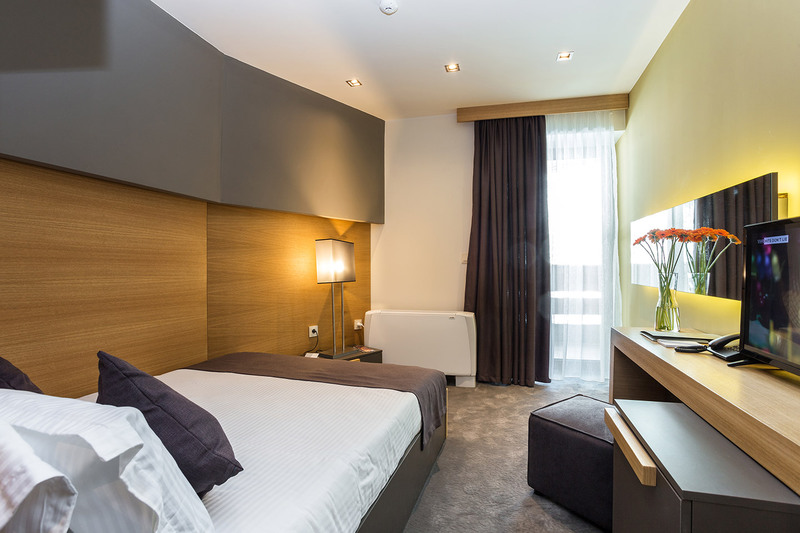 The rooms are vast and stylish, with elegant look and mood, in warm colors with earthy shade. The furnishing is consistent with the modern interior design trends. The ambience suggests calmness and coziness and predispose to a complete relax. There is a double bed in the economy rooms (1.40m/1.90m). 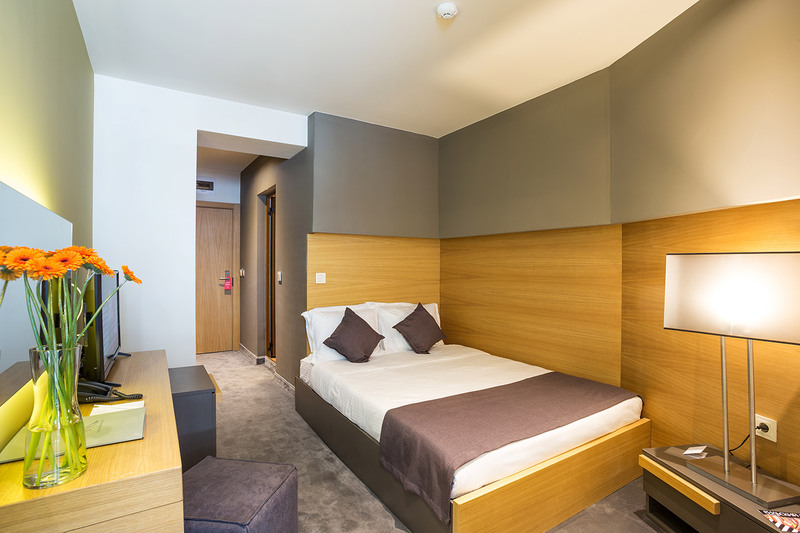 It’s equipped with an ergonomic mattress of memory foam which guarantees you a maximum comfort and healthy sleeping. You can also count on a functional and practicable desk, a minibar, LED flat screen tv and LED lighting. You’ll find everything necessary in your room to make tea or coffee – entirely for free. 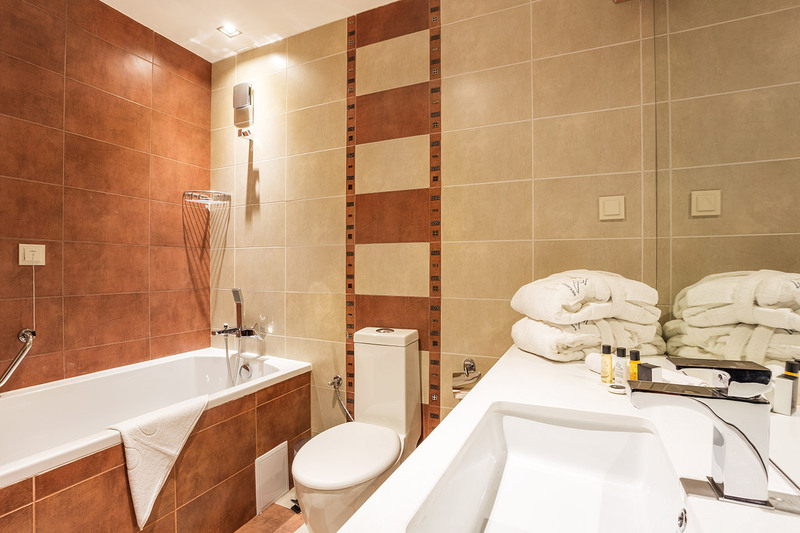 There are bathtubs and showers in the bathrooms provided with slippers, bathrobes, cosmetics and dryer, to make your stay comfortable. There is an individual control heating. According to the room you could have a balcony or wide opening windows. There are electronic locking entrance doors. And of course you use a high speed free internet. In the economy accommodation there are available the indoor heated swimming pool and Jacuzzi, sauna and steam bath, fitness center too – as a compliment from Rilets Resort & Spa. You have a majestic view from each room which brings you energy and peace.